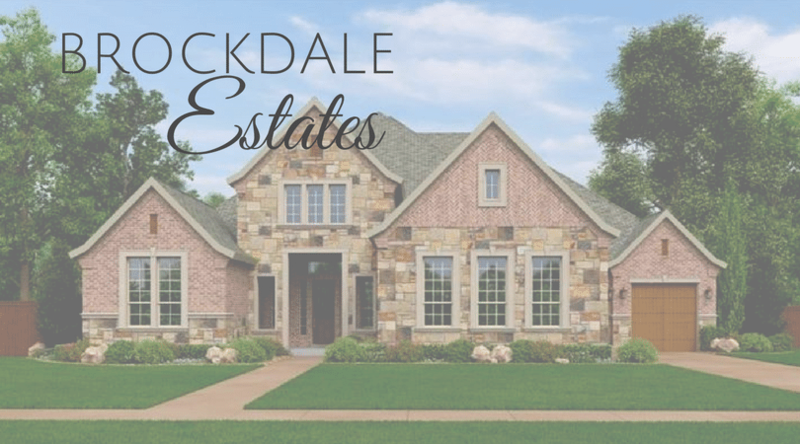 At Brockdale Estates, the timeless attraction of lakeside living meets the practical benefits of a luxury community designed with Dallas-area commuters in mind. Nestled near the western shores of Lake Lavon in Lucas, Texas, Brockdale by Hillwood Communities offers more than 200 oversized home sites within a 136-acre setting. And every day, Brockdale residents have the satisfaction of coming home to a scenic backdrop of rolling hills and mature trees. Brockdale is located in Lucas near the western shores of Lake Lavon and is in the much sought after Lovejoy ISD. Situated on 136 rolling acres Brockdale offers over 200 oversized lots ranging in size from .25 acre to .45 acre lots. Nearby Lake Lavon offers the natural beauty of 121 miles of shoreline, swimming, sailing, boating, and camping. The Trinity Trail system is next door and offers great hiking and horseback riding along the beautiful 25.5-mile trail system. ﻿﻿﻿ You’re just 10 minutes to the Shops at Allen and Fairview. This is the country life, not far from town. Plano is about 20 minutes and Dallas is about an hour south. Residents are practically on the shores of Lavon Lake where the Blackland Prairie Raptor Center is located as well as the Brockdale Trail and Brockdale Park. For more information on Brockdale, see available listings below or contact my office to schedule your tour of Brockdale today!